I'm not sure Nunes has any of those qualities. Yeah, this lawsuit by Devin is brilliant. Truly, the most Devin Devin in the history of Devins. I love that his lawyer refers to the "Devin Nunes' Mom" account as "she," as It makes the court document read so much better. They could claim it, but in fact they'd be younger due to special relativity Superman. Personally, I’m elated that AOC is unpopular among Fox News cultists. I don’t share their values and I don’t want AOC to compromise hers, either. Edit - same goes for “moderate” Democrats that are just center-right neoliberals with sensitive skin. NZ biker gangs are standing guard outside mosques. I love this photo. 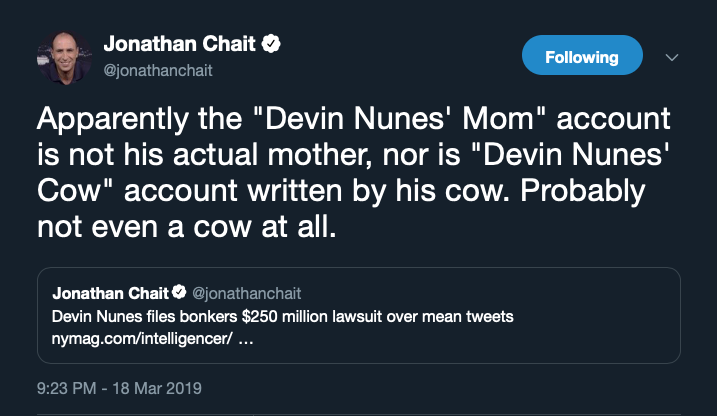 Are Technica: Late-night TV mockery helps "Devin Nunes' cow" rack up over 420,000 followers. 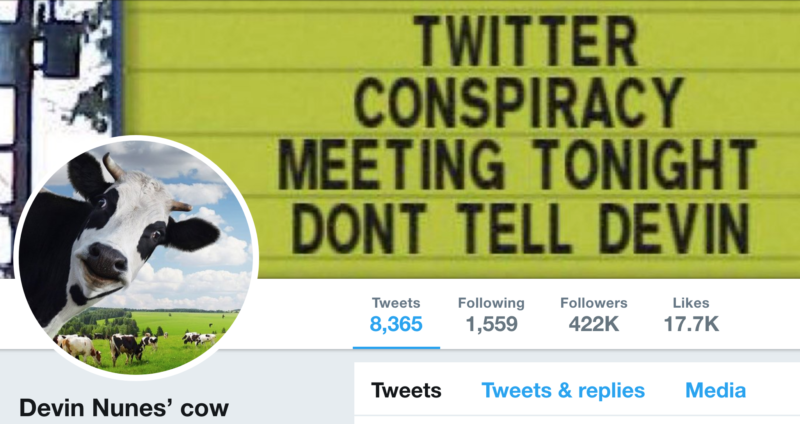 On Monday, Devin Nunes' cow was an obscure Twitter account with around 1,200 followers. Then Rep. Devin Nunes (R-Calif.) filed a lawsuit demanding that Twitter and several Twitter accounts—including the user behind the pseudonymous cow—pay him $250 million for the "pain, insult, embarrassment, humiliation, emotional distress and mental suffering, and injury to his personal and professional reputations" caused by their tweets. Now, Devin Nunes' cow has more than 420,000 Twitter followers—that's more than Nunes himself, who has 395,000 followers. It's a beautiful example of the Streisand Effect. Nunes appears to have filed the lawsuit in part to raise his own profile within the conservative movement, as the lawsuit was peppered with gratuitous swipes at the Democratic Party, Fusion GPS, and other high-profile villains in the conservative pantheon. But the lawsuit appears to have done more to raise the profile of Devin Nunes' cow than it did Nunes himself. Television comedians Jimmy Kimmel, Trevor Noah, and Stephen Colbert all had fun at Nunes' expense on Tuesday night. "He’s literally suing an imaginary cow," Kimmel said, noting that Nunes had co-sponsored the Discouraging Frivolous Lawsuits Act during the last session of Congress. "We can't have livestock insulting our elected officials. This DevinCow account obviously really bothers Devin Nunes. So in the interest of civility, I'm asking you please don't follow @DevinCow on Twitter." I'm cool with that, lets get on it. I used to be anti-electoral college but really I don't see how large parts of the country will matter if it goes away. If a candidate can get a suburb of Los Angeles and have more votes that getting the entire state of Iowa how will Iowa's be even considered in legislative decisions? And while many of us dislike the way the country seems to lean we are united states not united individuals. They system was specifically designed that way. And if we want to violate how the USA was designed then we should just go whole hog and start from scratch. Why target the electoral college but not the 2nd amendment, or many other things that seem problematic now? On the other hand, how is it fair that votes from relatively sparsely populated Iowa matter more than votes in a densely populated suburb of Los Angeles? Should the government cater more to a few hundred Iowans than a few hundred thousand Angelenos? It's not going to be as simple as doing away with the electoral college, it will likely be a drawn out process that involves a lot of redrawing of maps, but I think in the end we'll be better for it. Something like three of the last five presidential elections have ended with the winner receiving fewer votes than his opponent, if that doesn't indicate a problem I'm not certain what to say. If we're talking about how the country was designed, then we need to talk about the cap we've put on the House of Representatives. The way the system is designed, Iowa gets its share of disproportionate power from the Senate and (to a lesser extent (supposedly)) the Electoral College. The way the system currently works, the small states also get an advantage in the House of Representatives. And that's basically the entire government at the top level. So if we want to return to the balance of the system as designed, then we need to pull some of the power away from the states as institutions and give it to the people. Swelling the ranks of the House probably isn't physically doable, so giving the population more direct say in the election of the President is a reasonable line to take. Another note about "the system as designed" is how the Electoral College itself has changed. It was designed to be a deliberative body with members making their own decisions, not a scoring system that weights the popular votes coming out of the states. You could argue that removing the EC entirely is just the logical next step based on the changes we've already made. but... that's where all the real americans are. Real Americans. You know, the white people. Real salt of the earth, people of the land, the common clay of the New West. I guess it depends on how the system was created. How is it fair that in Monopoly you get more money if you own more of the same color properties? After all that simply means you have spend to maintain the properties you shouldn't get more money because a you own a property the player isn't even on! But it is how the rules were written. So I guess the honest answer is the US system isn't fair to individuals. It is fair to states and that is how it was planned. And as I said if we want to scrap the whole thing I am not even really opposed. I think the parliamentary system has some big advantages over our two party system. It requires a lot of coalition building which allows smaller groups to still be important. For example in our system if you are a "log cabin" republican you are kind of stuck. Democrats don't represent your economic beliefs but mainstream republicans hate your sexuality. In a parliamentary system both sides would have to work to woo you in a way they don't now. 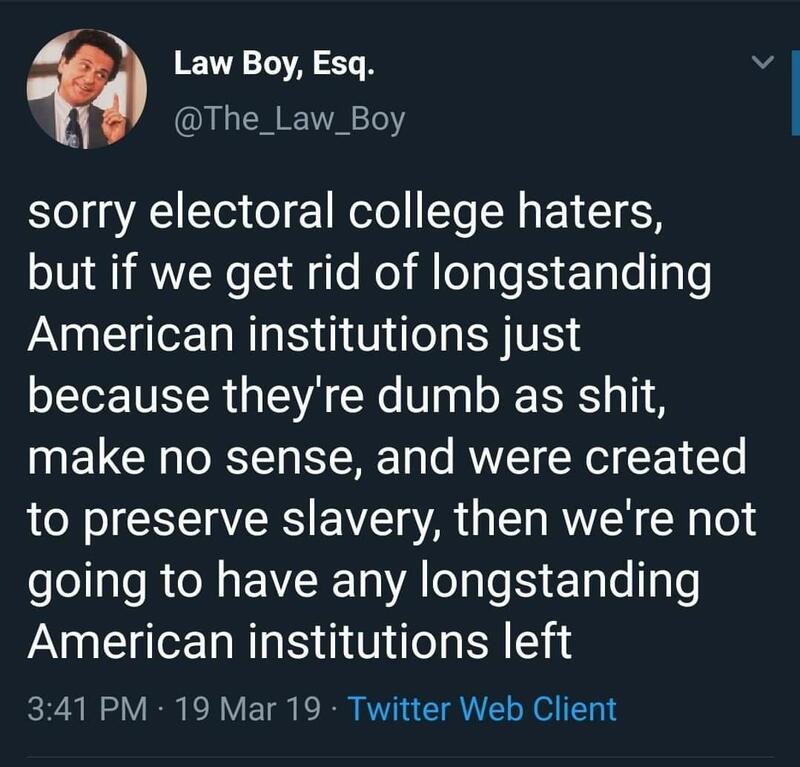 But I really believe that if we get rid of the electoral college without a lot of other changes it will just make matters worse or at the very least just as bad but bad in a different way. I agree. The House was designed to make sure that individuals did get represented and they totally Nerfed it. It is wrong and should be fixed. And if we want to violate how the USA was designed then we should just go whole hog and start from scratch. We already did that when we let former slaves, women, and really anyone who doesn't hold property have a vote at all. The system as designed was for landed individuals to decide and participate in government. Thats certainly not how we view government today and it's why originalist stances are just plain nonsensical, both in politics and in law. edit: I'm not sure Monopoly is the pull you want to go for, being the game specifically designed to teach how capitalist systems (and american property ownership) is systemically unfair and broken. I owe you a beer, ruhk. edit: I'm not sure Monopoly is the pull you want to go for, being the game specifically designed to teach in systematic unfairness of capitalism. I couldn't think of another quick example of rules. It also seemed like something everyone would be familiar with. It it fair that in King of Tokyo you get a victory point of just being in Tokyo? I get the point you are making, I just found it ironic you picked the one game that was specifically designed to refute that point. Monopoly is not fair, and its not fair on purpose to show that rules can be crafted in unfair ways to create systematic disadvantages and to simulate the disadvantageous that were present (and still are present) is the american capitalist system. So if we want to return to the balance of the system as designed, then we need to pull some of the power away from the states as institutions and give it to the people. We are not a democracy. We are a democratic republic or representative democracy. Everything is rooted in the power of the people... to have unalienable rights and to elect people to represent them. I always thought the point of Monopoly was to destroy families. Eh, looking at the UK, between the debacle of the Lib Dems a couple of years ago, and now Brexit resting on the DUP, I'm not sure parliamentary systems are the magic fix they're made out to be. I'm not even sure how a parliamentary system even makes the election of groups like "log cabin" republicans more likely. I'd like to see more concrete examples where a parliamentary system would make a difference. Like, where are these "log cabin" republican districts? Or where are the people 'stuck' between two parties who are not being wooed? It seems there's been plenty of attention paid to people like Joe Lieberman or Susan Collins or Joe Manchin or even Ron/Rand Paul. If there's a form of government issue here (and I'm not convinced there is, and that it's more about state lines, demographics, and voter suppression), it's First Past the Post. edit: oh, and one other quick thing--as far as how the U.S. government was designed by the founders, remember how *extremely limited* the power of the Federal government was at the time. A system where a small number of less populated states can exercise a de facto veto power on the government getting anything done was a lot different when you've talking about a colonial-era trade & defense union and when you're talking about a modern nation state full of programs that reach into the daily lives of individual Americans. This is really more a case of status quo bias than anything else. 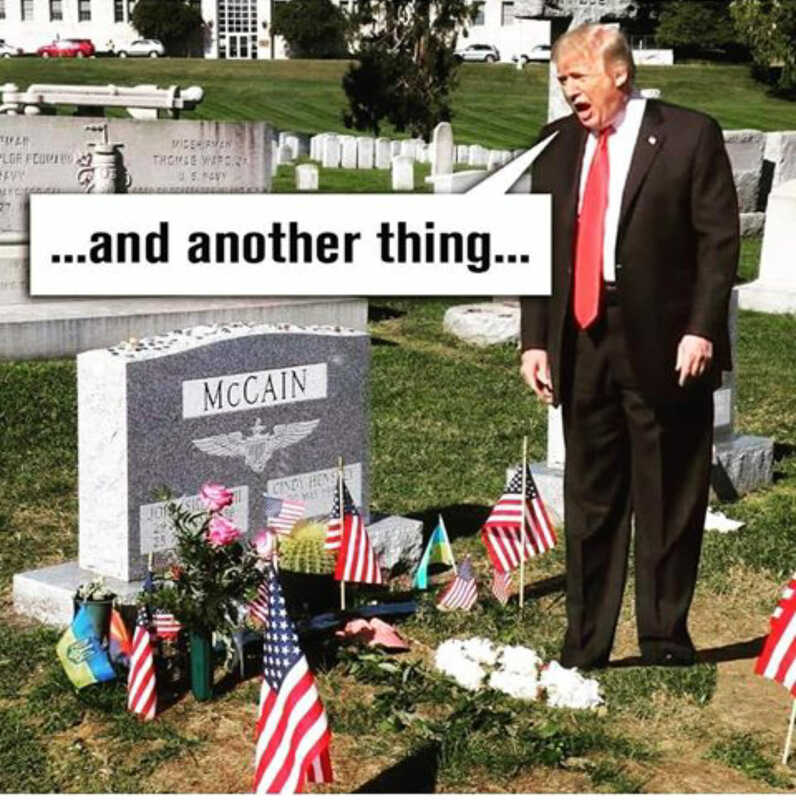 We see the people that have the most losing so much and think "how is that fair!?" In a direct democracy every person has the same political power. 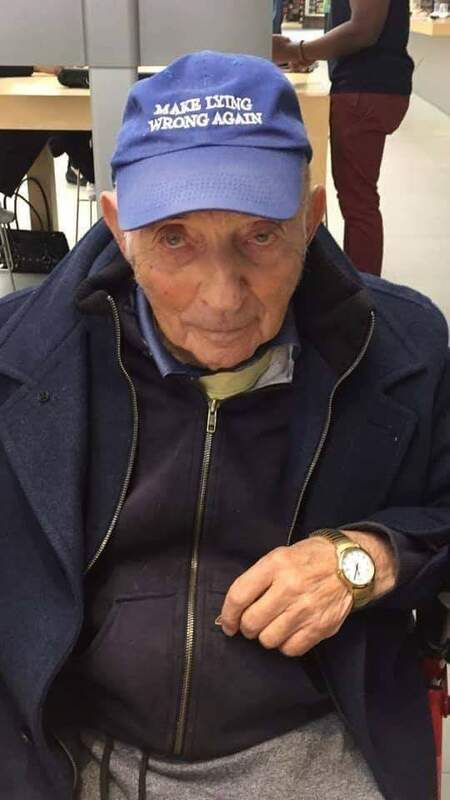 A person in Iowa will have just as much support to give as A person in Los Angeles. Will city that is three times bigger get more visits from a candidate? Yeah. They may get around three times more visits. Well a person listening to the radio in Wyoming get fewer political ads than a person in California? Actually, probably not, because the radio ads in Wyoming are probably way cheaper. Most things are naturally scaled by population, so once we stop artificially mucking with it it actually settles out in a reasonable way. Really, you can boil down this question another way "Why would a politician pay attention to 90% of the nation when they could just go to this one populated 10% and lose horribly in every election forever". Because the core logistics of who gets elected how is the change that could let all of those other things happen. The connection isn't a direct one for all issues, but it's basically asking the question "Why are we trying to make sure that Iowa doesn't have 30 times more political capitol than anyone else when we SHOULD be tackling the corn lobby!" One of the reason we have foundational level problems with our policies is because we have foundational problems with how we elect the people that create our policies. UK is a first past the post parliamentary system though, isn't it? It's not really the best example that people mean when they say they want a parliamentary system. Usually people mean "not first past the post" because I think most parliaments aren't FPTP. Right, that's my point--people say "parliamentary system" but they're really thinking about something more like ranked choice. Personally I just tossed that out as an example. I am sure it would need a lot of changes. I simply think that we need to dump that idea that the founding fathers somehow had some magical power to create the most perfect system of government possible.